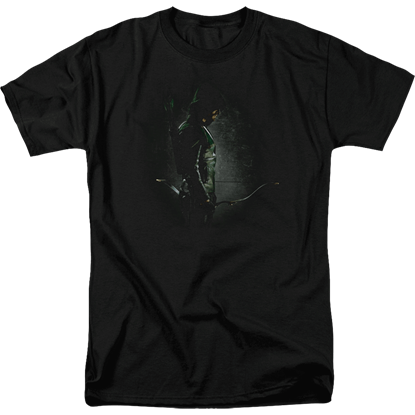 The Green Arrow rarely, if ever, misses his bullseye. 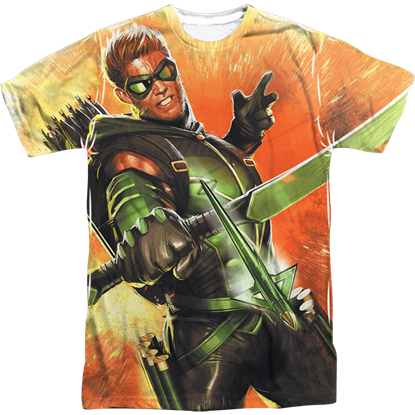 And if you ever happen to be the target for one of his trick arrows, you better look out! 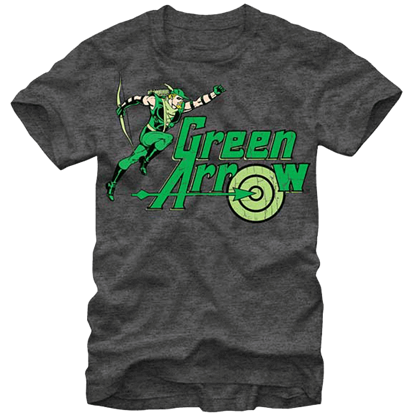 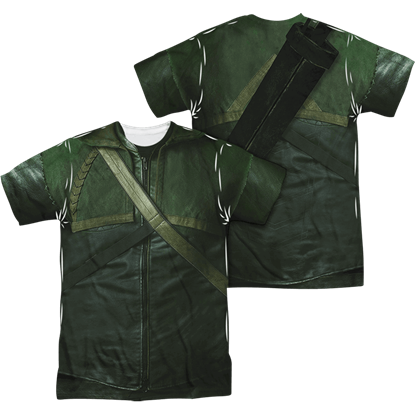 The comic book form of Oliver Queen is displayed on this Green Arrow Bullseye T-Shirt. 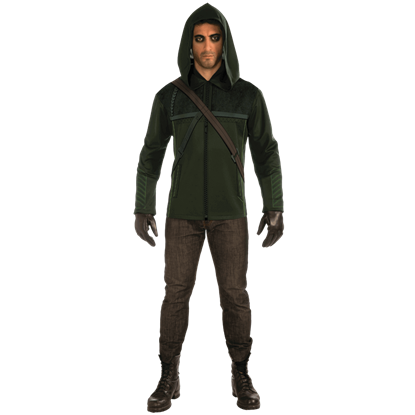 Rescued five years after being shipwrecked, Oliver Queen returns home to begin righting the wrongs of his father by becoming the vigilante superhero, Arrow. 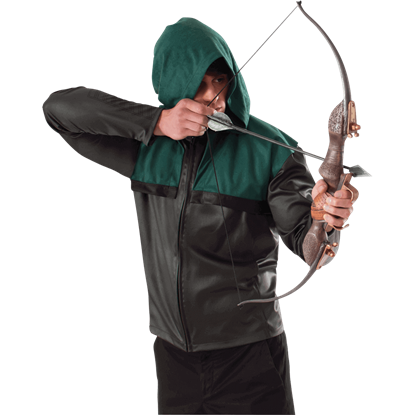 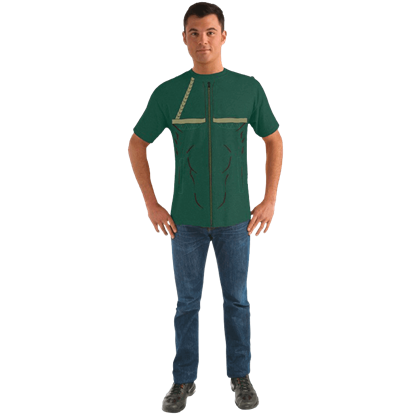 The Mens Deluxe Arrow Costume lets you dress as the DC Comics character. 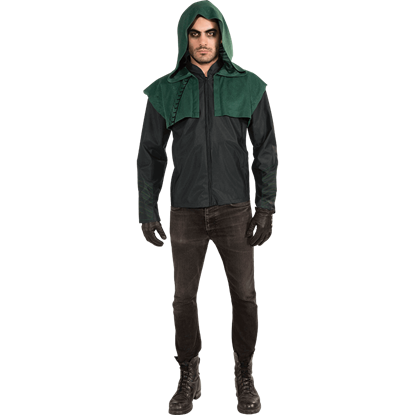 As the hooded vigilante who roams the streets of Starling City, Oliver Queen is the protagonist of the hit television series Arrow. 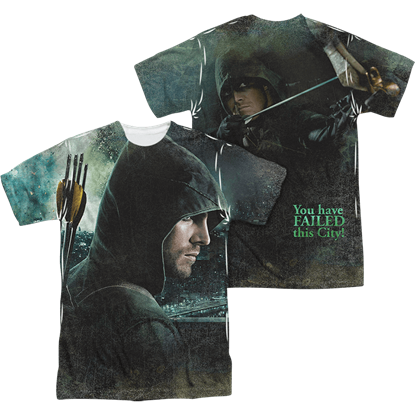 His image, and a well-known quote from the show, are depicted on the You Have Failed This City T-Shirt.